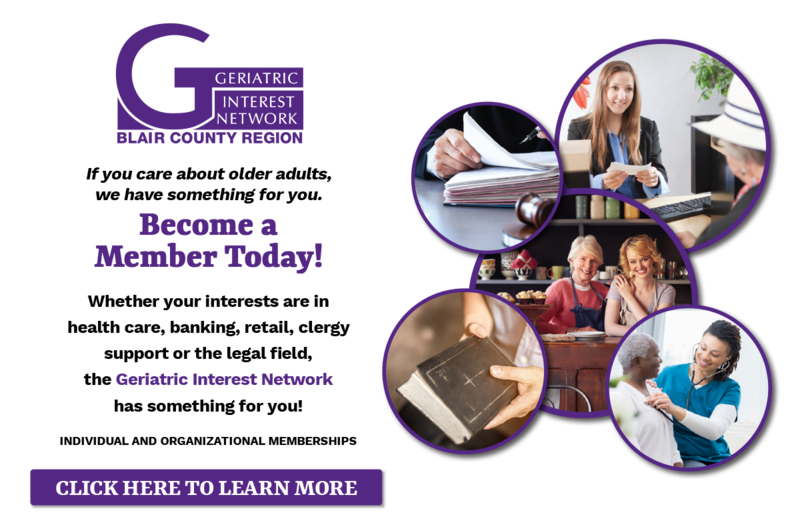 Membership is open to anyone who is providing services or products to older adults. Keep up with the happenings of GIN. GIN Members can promote their events through email or calendar of events. 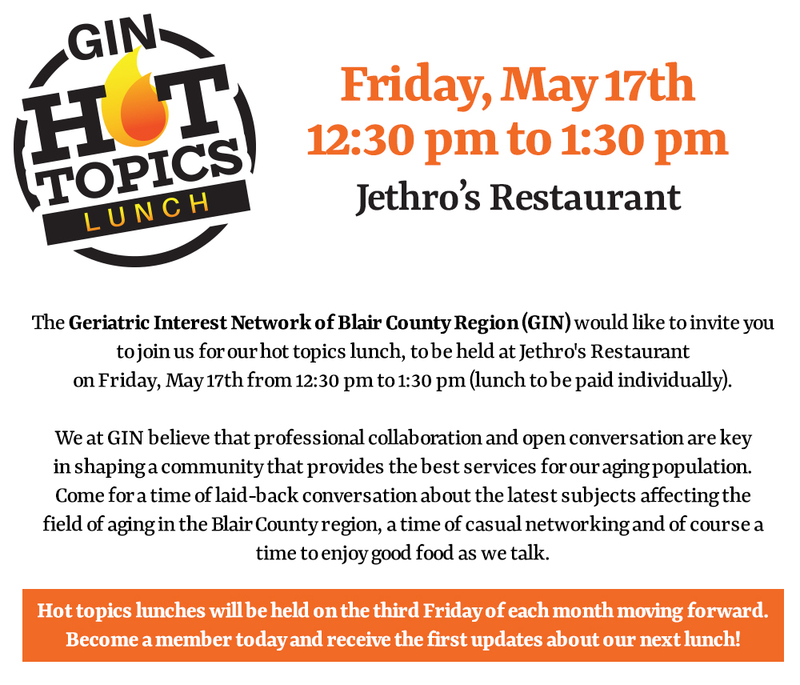 The mission of the Geriatric Interest Network of the Blair County Region is to maximize the community’s awareness of services for older adults and informal caregivers of the region by providing a forum for professional networking among service providers. 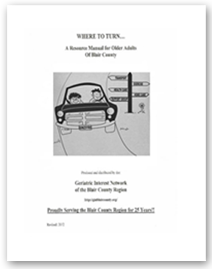 The ultimate goal of the Network is to enhance the quality of services for older adults in the region.